Located at 3200 feet on the top of Windham Mountain, WYBN is the second highest TV tower in New York State. 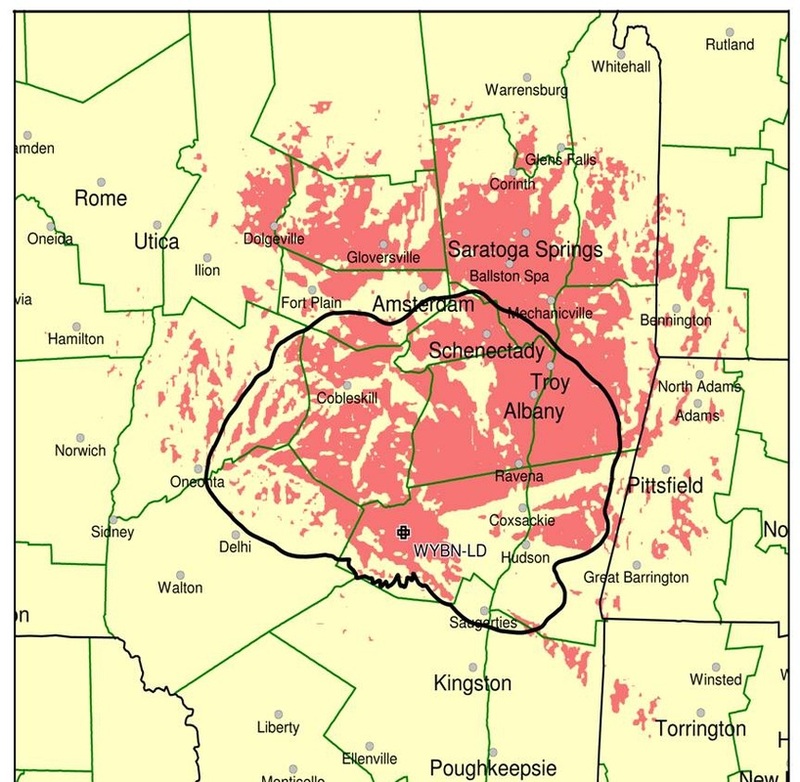 Servicing an area including, Greene, Columbia, Schoharie, Albany, Rensselaer, Delaware and adjacent Counties reaching a population of approximately 829,000 people, including 45,425 Hispanic households, WYBN is the first new over-the-air TV station in the upper Hudson Valley/Catskills/Capitol Region in over a dozen years. Broadcasting Over-The-Air on channels 14.1 through 14.8, networks on the station include Youtoo America, PBJ, Tuff TV, France 24, Rev'n, LATV, Retro TV, and This TV. With programming ranging from MMA, to classic movies, to children's programming, to nuevo en español. WYBN-LD is a digital low-power television station that operates with 15 kilowatts of power and is owned by Cable Ad Net New York, Inc.
﻿Mid-Hudson Cable also carries WYBN on their Digital and Digital Basic packages. You can find Youtoo America, PBJ, Tuff TV, and France 24 on channels 21.1 through 21.4 on Digital Basic and on channels 144 through 147 on Digital.